FT (AET): Germany 1-0 Argentina (Gotze 113') - Germany are champions! Listen to the action LIVE on ESPN Radio! 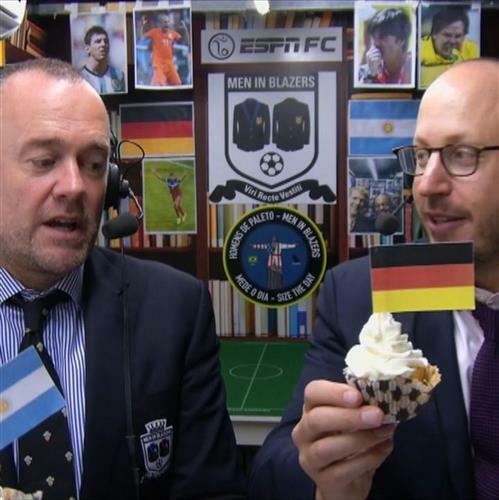 Well here we are: 170 goals, 63 games, and now just one left -- ladies and gentlemen, welcome to the Gillette Boot Room for the 2014 World Cup final! 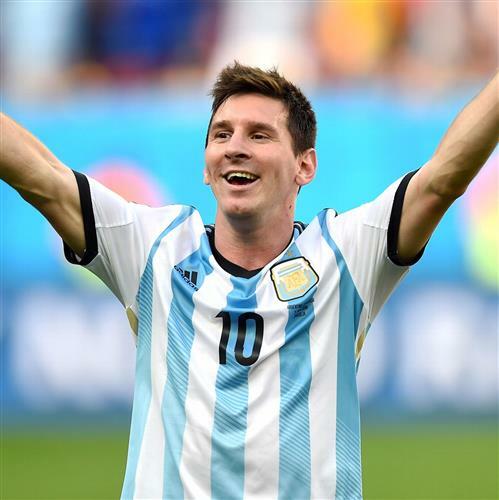 This is the big one -- either Germany take home their fourth World Cup trophy and become the first European side to do so on South American soil, or Lionel Messi makes a date with destiny to join the likes of Pele and Diego Maradona in the beautiful game’s hall of fame. Welcome back pale! We're underway early tonight, on account of it being the final and all. Predictions? del, good luck to you! 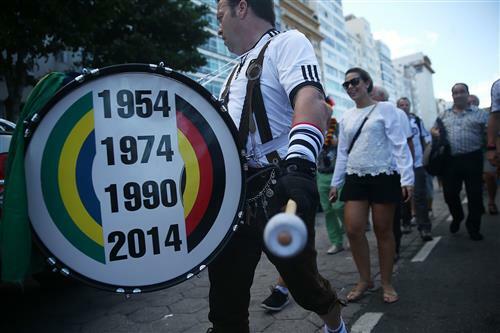 What will happen, from a Brazilian perspective, should Argentina win? cdiddy, I can't imagine that Brazil would take too kindly to it, so I think they'll be rooting for a Germany win. del, you can't sleep through it! Moments like this come around once every generation if you're lucky - as an England fan, it's your duty as a fan of a better footballing nation to watch the final! 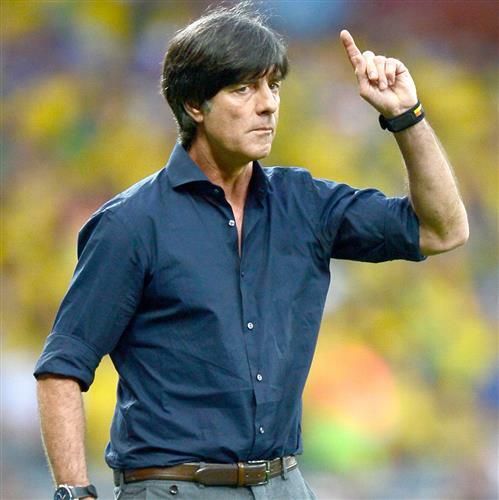 ESPNFC.comAhead of Sunday's World Cup final, Germany manager Joachim Low said that there is more to opponents Argentina than just Lionel Messi. Hi Tom - any word on DiMaria - is he definitely out? Some speculation among Argentine media that Di Maria starts. Dave, our man on the ground Miguel Delaney suggests that could be the case, but it's just rumours at the moment. 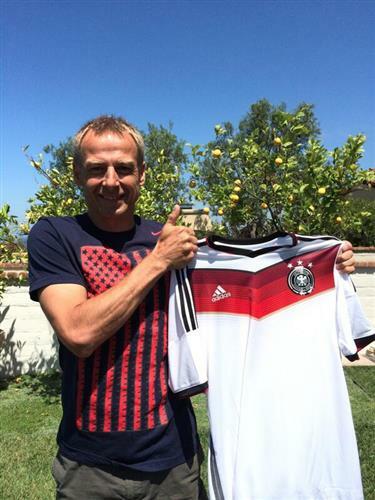 Does Klinnsman deserve any credit if Germany wins? cdiddy, I think you'd have to say yes. He was part of the restructuring, and even though Joachim Low may have been, as many say, the tactical mater, you cannot discount the impact of Jurgen. Tom you think klose start the game? del, hope you enjoy the game! pale, he may well do, although I think Low could start him off the bench and bring him on for the second half and possibly extra time. Who will win the Golden Boot, people? ESPNFC.comSimon Kuper: Even if Lionel Messi inspires Argentina to World Cup glory against Germany, he will always be in Diego Maradona's shadow. Ozil will score six goals today and win the golden boot. Bill, a strong prediction. I doubt a sextet, but I actually think he may pop up with a goal, just to silence the doubters. When things really get going we'll have a few Gillette Boot Room World Cup award votes, so keep your eyes peeled and have your say on the best and worst of the tournament. Today's the day, let's get nuts! Jurgen just blew my mind with so many conflicting sponsors and countries. Jeff, he's good like that - but you can't doubt his passion today! Is it Germany's year once again? Italy waited 24years to lift world cup again in 2006 will ...can Argentina do it ? Pale, it's a weird and wonderful list that FIFA has for their guests for the final! ESPNFC.comMany have wondered for years when Toni Kroos would finally hit the level he's capable of and the 2014 World Cup is that time, writes Raphael Honigstein. Just under 80 minutes until kick-off now, and the tension is building - can you feel it? if the US wants to be a true football power, they will nedd to change their youth system. Less emphaisis on size and physical play and more technical development art a young age. Like the academies in Spain and Germany.